This can only be applied to orders over $149 before taxes. Only 1 GEAR PACK per order. 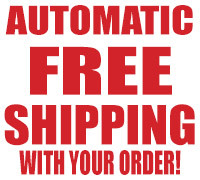 + $20 OFF YOUR ORDER! This can only be applied to orders over $199 before taxes. + $35 OFF YOUR ORDER! This can only be applied to orders over $299 before taxes. Products, Prices and Values of Supplements Value Offers are subject to change . 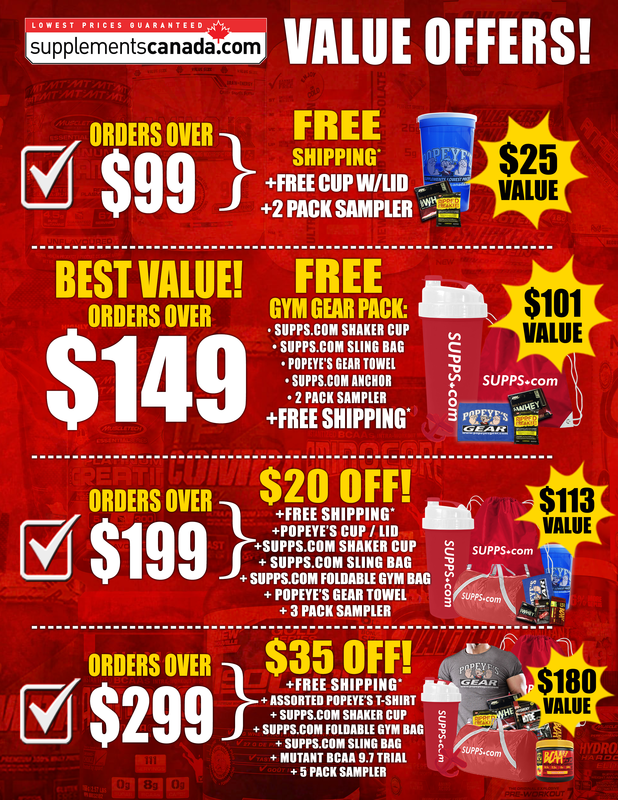 Free Product Samplers vary per order, styles, sizing, and colors of Popeye's GEAR items are subject to change throughout the duration of our Value Offers.